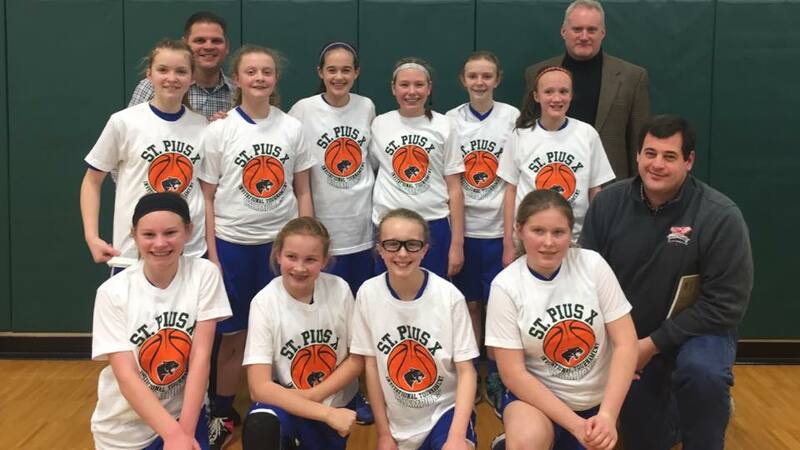 All students currently enrolled at Blessed Sacrament School in grades 2 through 8 are welcome to participate in the Blessed Sacrament Basketball program. The BSS Basketball program participates in various basketball leagues throughout Northern Kentucky depending on grade level. The program offers a fun environment for boys and girls to learn the fundamentals of basketball. The purpose of these leagues are to formulate rules of play that will guarantee all players equal participation in the game and provide coaching that will develop team spirit and sportsmanship, rather than expert players. It is the basic philosophy of these leagues to provide a wholesome experience for all players. The BSS Basketball program also offers competitive teams in grades 7 and 8 for both boys and girls. Tryouts are held to select members of these teams.